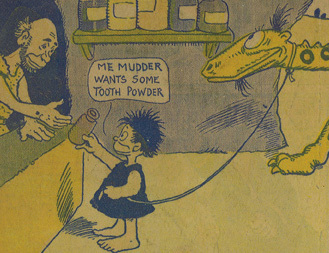 Although he is best known today for Happy Hooligan (which we’ve been reprinting examples of recently) Frederick Opper was responsible for a number of popular strips in the early 20th century. 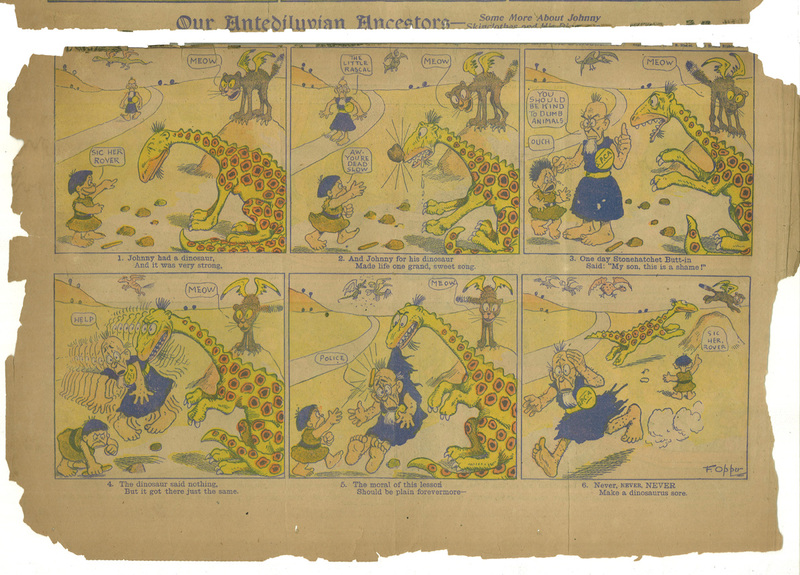 Here’s an example of Frederick Opper’s strip Our Antediluvian Ancestors. Click the image to read the strip. 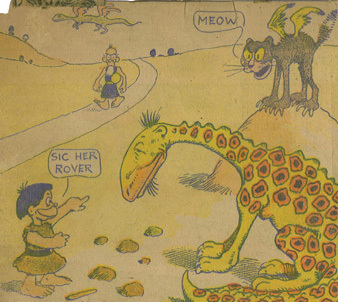 Here are some other Opper strips from Coconino Classics, including more examples of Our Antediluvian Ancestors. Although he is best known today for Happy Hooligan (which we’ve been reprinting examples of recently) Frederick Opper was responsible for a number of popular strips in the early 20th century. 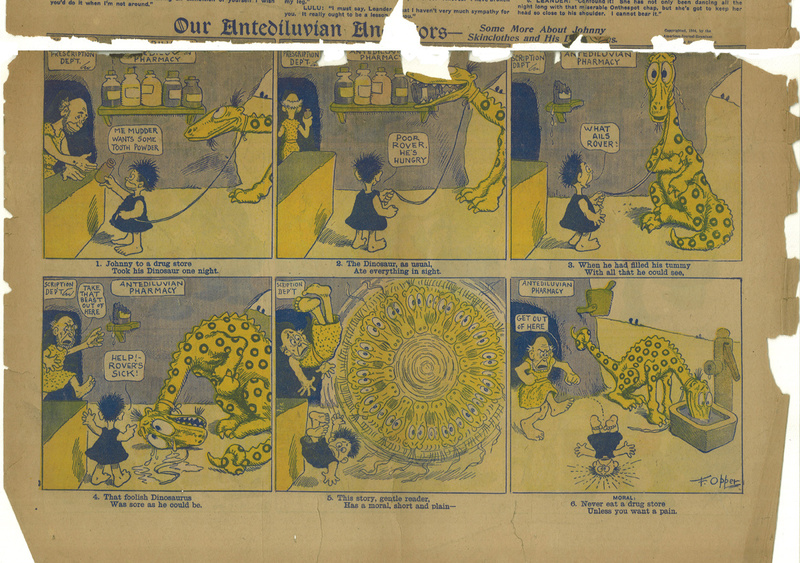 Here’s an example of Frederick Opper’s strip Our Antediluvian Ancestors from 1904. This one is pretty sorely wounded, but it’s a particularly funny one. Click the image to read the strip. Although he is best known today for Happy Hooligan (which we’ve been reprinting examples of recently) Frederick Opper was responsible for a number of popular strips in the early 20th century. 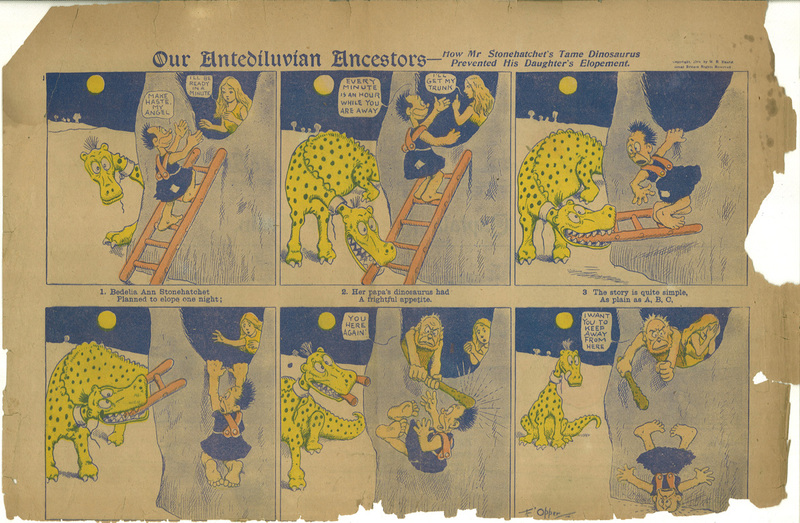 Here’s an example of Frederick Opper’s strip Our Antediluvian Ancestors from 1901. Unfortunately, this one has some text missing at the bottom. Click the image to read the strip. Although he is best known today for Happy Hooligan (which we’ve been reprinting examples of recently) Frederick Opper was responsible for a number of popular strips in the early 20th century. 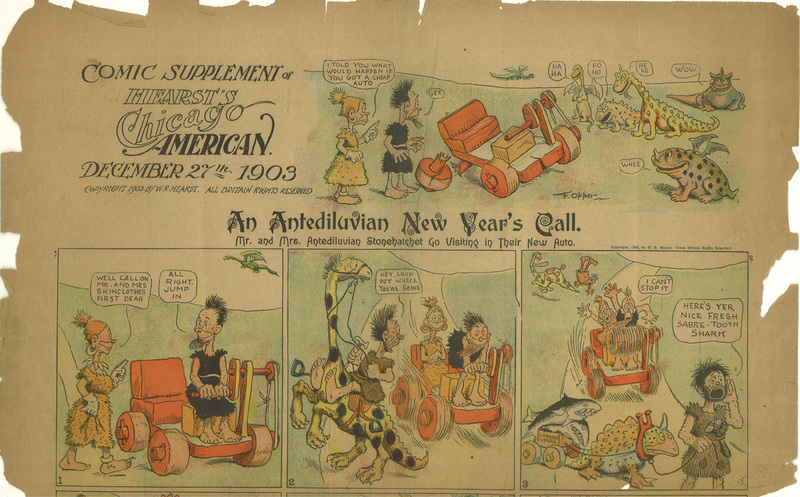 Here’s an example of Frederick Opper’s strip Our Antediluvian Ancestors from December 27, 1903. Unfortunately, I only have the top half of the page for this one, so you’ll have to imagine what happens after the first three panels. Dig that 1903 Flintstones car! Click the image to read the strip.